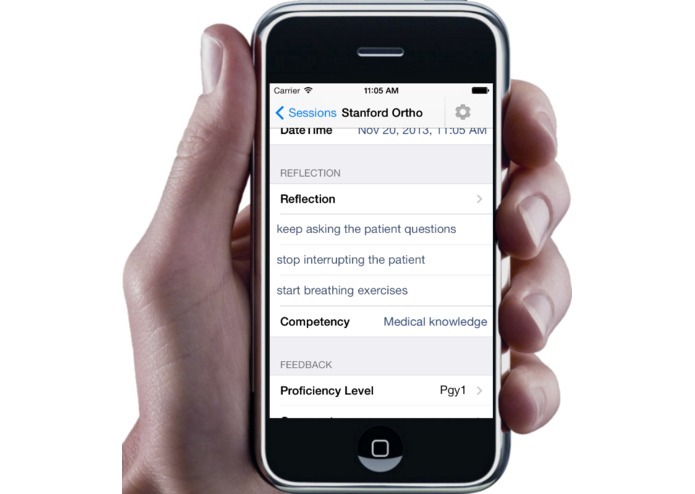 clipdocMD is a mobile app that provides daily meaningful feedback to medical residents in 2 minutes. The end goal is for medical educators and professors to improve the quality of education and training for physicians-in-training (residents and interns). 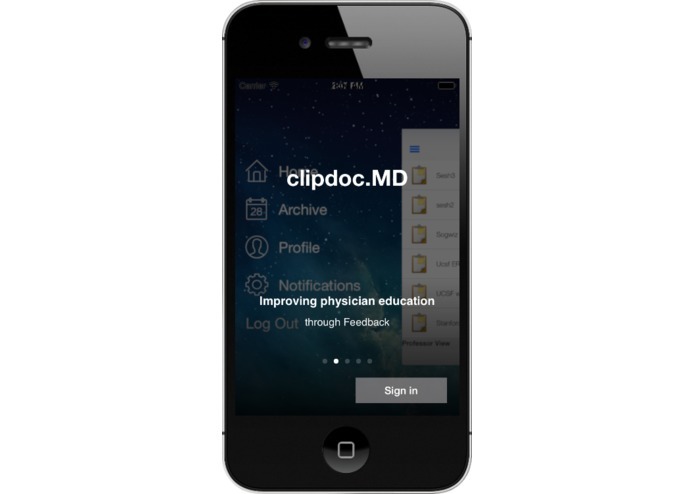 By creating a convenient platform to document medical resident sessions, clipdocMD gives supervising physicians a tool to provide feedback that is timely, goal specific, consistent, actionable and interactive, resulting in better trained physicians and improved patient safety. Background: Following graduation from medical school, physicians must spend 3 to 10 years receiving additional training depending upon their chosen medical specialty. At any given time there are 115,000 of these “residents” in training throughout the US, and the it is the responsibility of supervising medical institutions to make certain that at the completion of their training these physicians can practice medicine safely and independently. Regardless of medical specialty, residents are evaluated in six specific domains ranging from medical knowledge to clinical care to their understanding of how medical systems and organizations affect patient care. To ensure that these learners are on the right track and are performing at the expected level, it is essential that they are receiving feedback from their teachers. Unfortunately, whether it is teacher/learner or employer/employee relationship, feedback is most often delivered in an infrequent, poorly structured, ill-defined and non interactive manner that leaves the recipient confused and frustrated. Documentation of feedback is equally inadequate, as it is done in a hurried fashion when prompted by a supervisor who needs a box checked off to satisfy and HR or compliance officer. 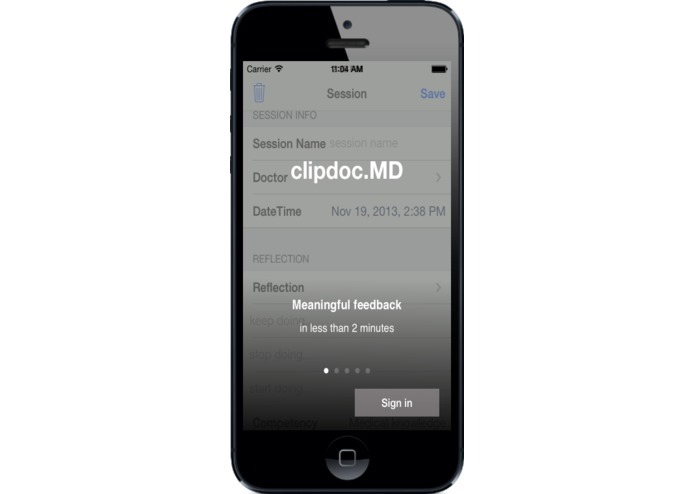 clipdocMD ensures that each resident come to the clinic or operating room with a specific GOAL to begin the session and a reflection when completing the session. By explicitly telling the resident which actions to KEEP doing, STOP doing and START doing, the feedback will be specific and actionable. 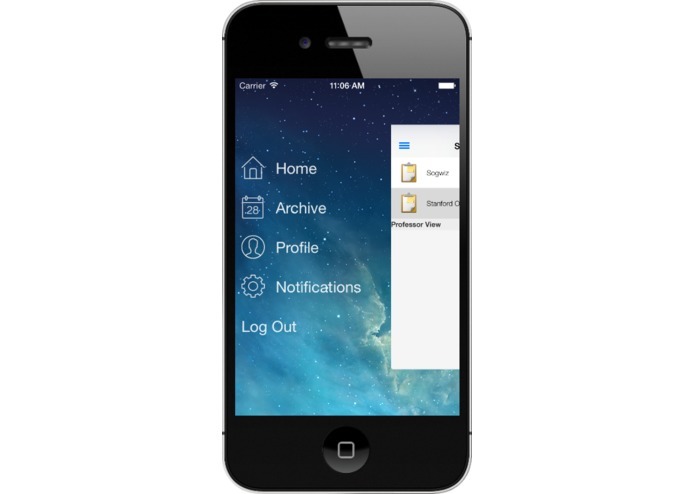 By using a standardized template, feedback will be consistently delivered. By creating a platform that is interactive teachers and learners will form closer working relationships with both invested in the continued achievement of the trainee. Finally, by having multiple entries available for review by the supervising institution, trainees can receive evaluations that are both formative and summative, the end result being physicians delivering safe and high quality care in a professional and patient centered manner.